You have probably landed to this page because of the fact that you were looking for some valuable information on starting a new website or an online store. The basic principles are almost the same whether it is an online store or a startup website to promote your very own business. I will guide you through some of the most important facts that you need to keep in mind before you start creating your website. The very first step should be starting with a niche research or also known as as keyword research. You are required to research for the keywords that your potential clients are likely to search for when they are looking to buy a particular product or a service. There are a lot of free and paid tools to do so. You can also use Google Keyword Tools for searching targeted keywords for your business. I would also like to recommend you to hire a professional to do it or first learn and watch some good tutorials on youtube before you try to do it yourself. However, it is not a rocket science and I am quite confident that if you watch a couple of good video tutorials, you would be able to do it all by yourself. Now that you are all set to create an online presence. You can go ahead and look for a domain name. It can be literally be the name of your business. Include one or more keywords in your domain name for better search engine optimization but never use your exact keyword in your domain name as Google can penalize you for EMD (exact match domain), which penalize exact match domain names for having a same domain as their keyword. For example if I have a business named "A1 Carpet Cleaning", than you can go for the domain name "a1carpetcleaning.com". 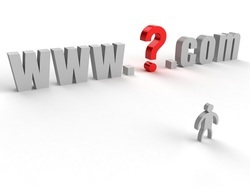 It is not always possible to find the domain name of your choice. Most of the dot com domain names that can be thought are likely to be pre registered therefore you will have to put in some extra time to research and find a perfect domain name. Choosing an attractive domain name that people can easily remember can help you get a boost in your business. It should be predictable by looking at you domain name about the kinds of services and products you are offering but not necessary. After you have decided your domain name and checked its availability, you need to look for a reliable hosting provider where you can host your website. Godaddy, hostgator and bluehost are some of the famous domain registrar and hosting providers. These companies are serving thousands of satisfied customers around the world. Choosing a low quality service can actually degrade your website from showing up in search engine results and it can directly affect your SERPs. You should consider choosing a host that has almost 100% uptime with no DNS errors. Once you have all these things arranged and account set up with your host, you will be mailed all the important details and login credentials by them. Please note that as soon as you receive these details you can login to your cpanel or hosting account and update name servers. It generally takes around 48 hours for your domain to propagate. You can refer to your host's knowledge base for more information or directly contact support so that they can guide you through this process. After you are done with the above steps, your website would be up and running within one or two days. Sometime it can be a matter of hours too. You have your domain setup and pointing to your hosting provider's name server. By this time you would be able to see a default landing page by your host when you visit your website's link. It is the time to actually set up your website now. You can choose a web design company to work for you and discuss your requirements with them. If you are looking to do it yourself I would recommend you to install a content management system such as Wordpress to your hosting account as it is easy to use. 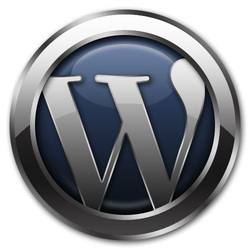 Wordpress offers a strong blogging platform and there are thousands of free plugins that you can use with it. If you are looking to make an ecommerce website you can use WooCommerce, a freely available plugin to create your online store and display your products. Your website design speaks of your company's reputation. No matter how good your content is, if you design is not appealing to the visitor they will hardly bother spending much time around. Website's design would be most important in gaining trust factor of your visitors. People tend to buy from the websites that looks more tempting to them. You can also feature some of the trusted payments processor's logo like paypal, authorize dot net, verified visa, mastercard, American express etc to gain more trust. By doing this your customers will feel secured to make a transaction through your website. After successfully installing Wordpress on your website, you can start building it and add other pages. You can find premium Wordpress themes which best suits your business model. Themeforest, Studiopress, WooThemes and Elegant Themes are some of the best Wordpress theme provider out there. You can buy a Wordpress theme for as little as $ 40 and get start using it with your website. Alternatively, if you would like to download free premium wordpress themes you go to wplocker dot com. Optionally, if you have a custom design in your mind or if you plan to wow your customers you can hire a professional web design company and pass on the designing process to them. They will certainly come up with a perfect solution to your needs. Always look for references and work examples before making your decision in hiring a web design firm. Like its always said that Content is King, therefore you must put emphasis on creating quality content free from plagiarism so that your website gains higher positions in search engines and get quality traffic. This will ultimately help you to secure more sales and clientele. You should always create SEO optimized content while keeping in mind that you strictly follow Google's Quality Guidelines. Do not use too many keywords inside your content and keep the keyword density lower than 4%. Avoid unnecessary usage of keywords and try to make your content look natural. It is highly recommended to add a blog section to your website where you can regularly post valuable information to keep your visitors engaged. Google always checks for fresh and unique content and tends not to rank old and stale websites that have been around for a long time. It also builds your domain authority in the eyes of search engines. A regularly posted blog section will ensure that your website receives optimal traffic. Here are a couple of more monetizing methods that you can use to monetize your website. You can try out Google adsense, affiliate marketing or rent advertising space to other websites to bring in some additional money for you. SSL certificate provides an additional security by using 128 bit encryption and prevents security breaches. All the transactions done via a website that has a valid SSL certificate are safe to use and most of the people will feel safe to input their credit card details to make any transaction through it. Sometimes it is better to use audio visual aids to convey your message to your customers. If you have a complicated concept or idea that is hard to explain, try using an explaination video or explainer video on your main landing page that can help to make your clients understand your ideas and related benefits. You can get help from a video production service that offers high quality explanation videos that can help you to crack sales and convince people to buy your product or service. I came across a video production company named The Cuillin Collective based in United Kingdom that offers high quality explanation video, handcraft video and viral video for all your marketing needs. Make sure you install a live chat script such as livezilla so that the visitor can directly ping you if they are interested in making a deal with you. It will provide you an instant mode of communication and it will also build more trust to your website's visitors as most of the big company's websites have a utility to chat directly with a sales representative. Once you have completed all the steps and put your website to work. I would suggest you to keep on adding high quality backlinks to your website. It will help you to get more targeted traffic and help you bring in more sales. 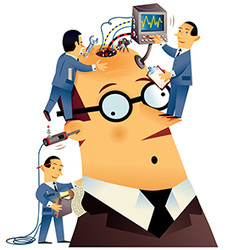 Do not over optimize using repeated keywords and concentrate on quality instead of quantity. Try to get a dofollow link to the website that have a pagerank of 3 or higher. Build links using varied anchor texts and try to get dofollow high PR backlinks from different domains. Keep a close watch on your competitor's links that are ranking high for the same search terms and try to get backlinks from the same sources. As a matter of fact, building a successful online business is not so easy and it takes subsequent amount of time to achieve desired results but it is not impossible to make a successful website. There are a number of internet marketers who are making good incentives online using these tactics. You just need to work consistently with dedication and keep yourself up to date with the latest trends in the world of internet marketing. Try to read motivational stuff, success stories and attend internet marketing webinars from industry experts. I have tried my best to provide a road map to individuals those are looking to plunge into online industry to propel their business ideas. Some of you must be looking to advertise and market your existing businesses using internet as a widely recognized medium while other would be looking to establish a startup online business or some kind of e commerce store for selling their products. I am an internet marketer working since last 6 years on different niches making an exceptionally good passive incomes online and let me tell you that I did not succeeded in my first numerous attempts but I did not gave up. I was able to achieve goals with strong dedication and hours of hard work that I put in. I would only suggest you to make strong determination for you to be able to achieve goals. Hard work and consistency is the key to success. I tried to cover all the important aspect; however I am not sure if I missed something. I look forward to see your valuable advice, comments, suggestions, and ideas. Please just remind me if I missed out something in the comments section.